For engineers, what is more exciting, the past or the future? In its 40 year history Scia has experienced a number of important technological breakthroughs which helped the company to realize a continuous growth in the IT business for structural engineering. In 1974 there was hardly any computing power, the first program (for engineering structural analysis) was written in 16 kb memory for WANG and HP desktops. When Windows 3.0 appeared in 1990, it was the opportunity to introduce interactive graphics, structural modeling and finite elements, leading to a new generation of design software. In 1996 Internet got spread resulting in important operational cost reductions for companies (such as Scia) with an international business exposure. 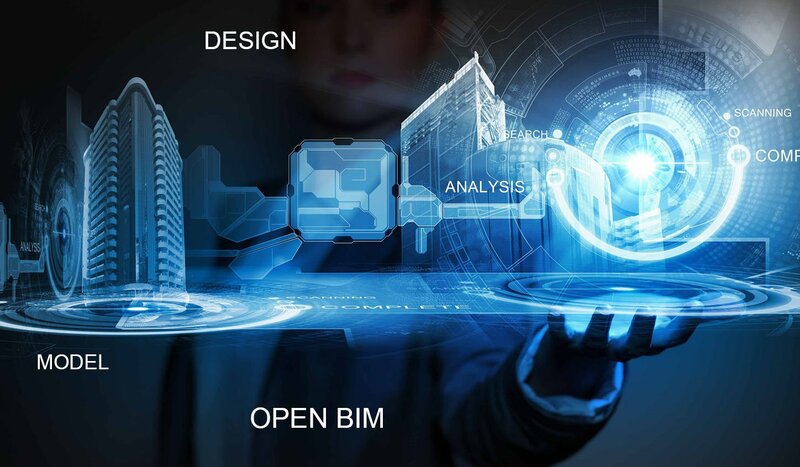 Since then the digitalization has not stopped, and Scia now operates on all continents through virtually connected offices, helping their clients to plug into BIM (building information modeling) workflows. Since 2011 Web 2.0 and social media are supporting us in creation of more virtual interactions online. The future will see further exciting innovations in the construction industry: in copying the mechanical world, construction will introduce 3D printing of components and robotics to improve productivity, as proven by prototype projects such as 3D brick walls and contour crafting of whole buildings on site. New tools for 3D digital collaboration are seen for online meetings, eliminating 2D drawings, which will shorten the construction planning. The ongoing implementation of parallel processing and use of cloud storage will give a boost to the design speed, even for more complex calculations applied for earthquake and other hazardous loadings. There is more practical know-how coming to design software, as expert know-how will be rapidly added thanks to the open architecture. We lived the past, yet we invent the future, now.